Enabling CDN for your Azure workflow becomes easier than ever with this new integration. You can now enable and manage CDN for your Azure web app service or Azure storage account without leaving the portal experience. When you have a website, a storage account for download or a streaming endpoint for your media event, you may want to add CDN to your solution for scalability and better performance to make your CDN enablement experience easy for these Azure workflow. When you create a CDN endpoint from Azure portal CDN extension, you can choose an "origin type" which lists all the available Azure web app, storage account, and cloud services within your subscription. To enhance the integration, we started with CDN integration with Azure media services. 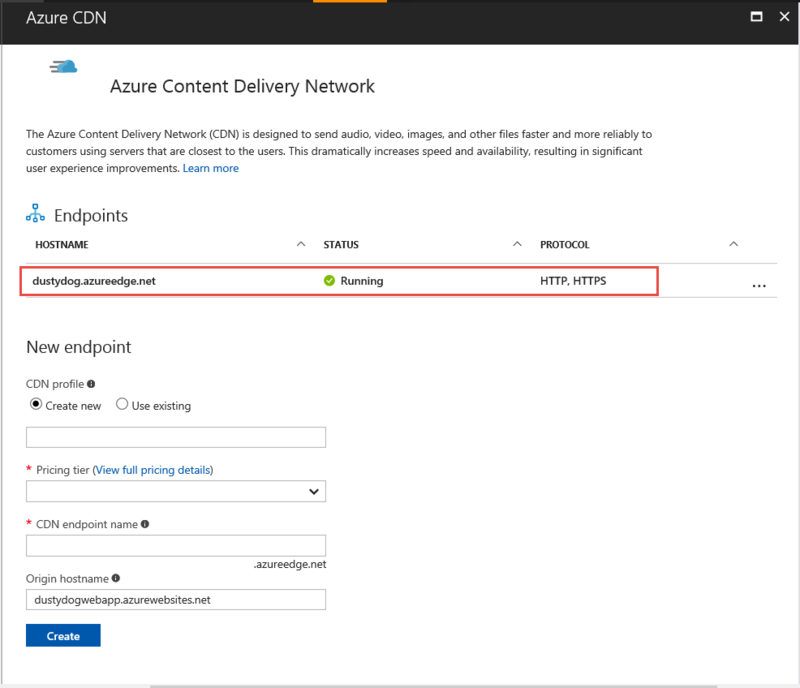 From Azure media services portal extension, you can enable CDN for your streaming endpoint with one click. Now we have extended this integration to Web App and storage account. Go to the Azure portal web app service or storage account extension, select your resource, then search for "CDN" from the menu and enable CDN! Very little information is required for CDN enablement. After enabling CDN, click the endpoint to manage configuration directly from this extension.